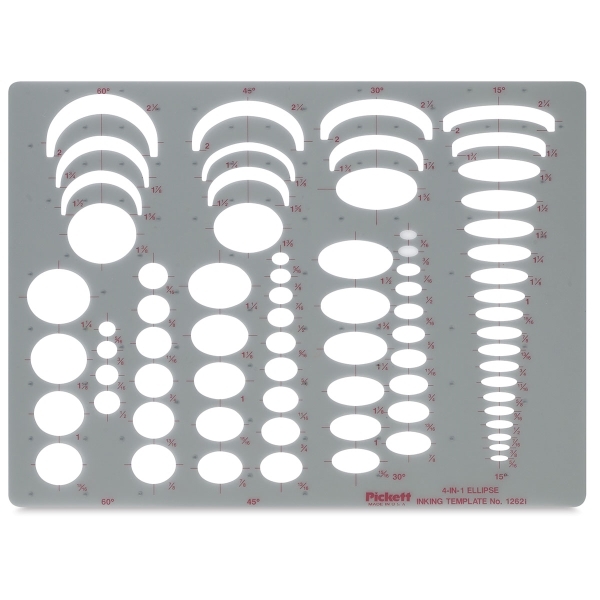 Chartpak ellipse templates are suitable for many drafting needs. Styles include Combo Ellipse Master, 4-in-1 Ellipse, Master Ellipse Maker, Isometric Ellipse, Isometric Master Ellipse Maker, and Master Ellipse Maker (20° to 50°). Template features ellipses at 15°, 30°, 45°, and 60° projections in sizes ranging from 5/16" to 2-1/4". It measures 8-3/4" × 12".